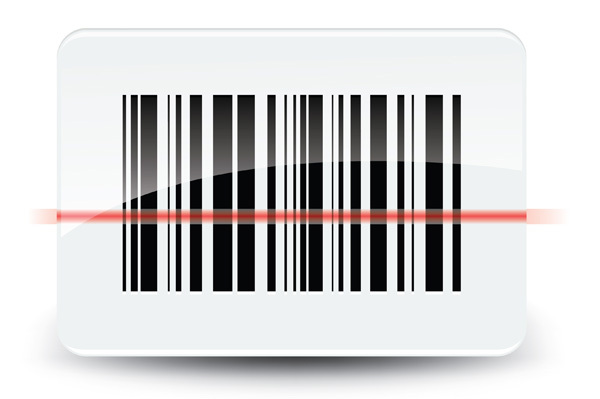 Multi Channel Inventory Management Software Makes Synchronizing Stock Lists A Breeze! 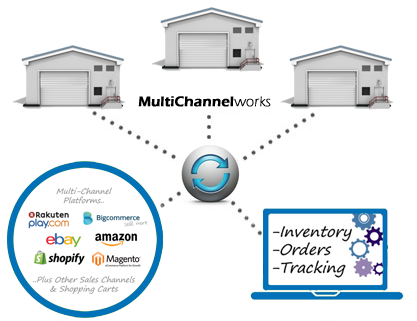 Multi Channel Inventory Management Software - No More Spread Sheets, No More Over Selling! Enter your email address to see the full demo video on the next page.. Managing multiple points of sale and multiple online selling channels can become complex and tricky to manage especially if you stock more than a handful of SKU's. 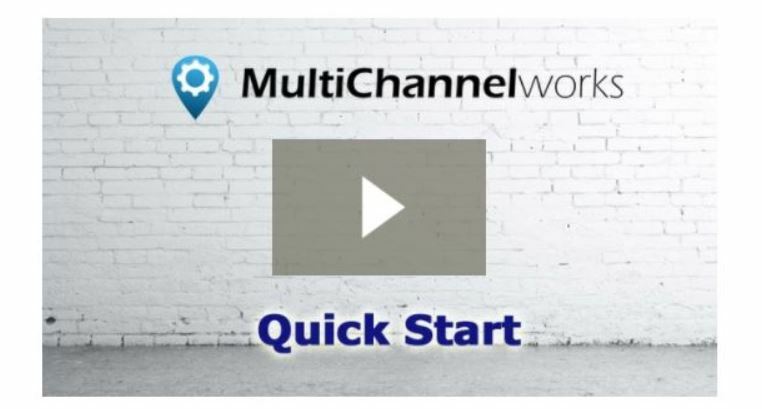 Use the Inventory Sync settings in your MultiChannelWorks dashboard to automatically..
Synchronize inventory levels across all sales channels to prevent over selling. See stock levels for all of your products in multiple warehouse locations in one single and convenient screen. Download inventory reports and stock lists. 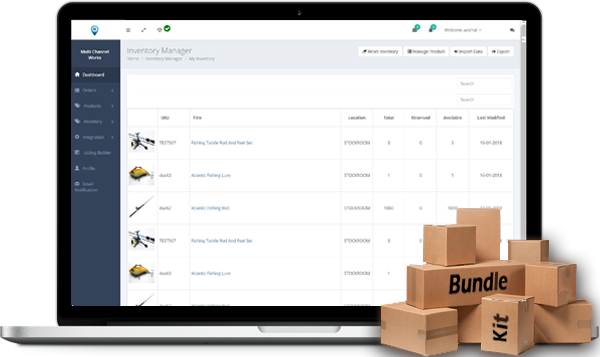 Multi Channel Inventory Management Software with Simple Product Mapping to Automate Single Product SKU's, Bundles, Kits and More.. 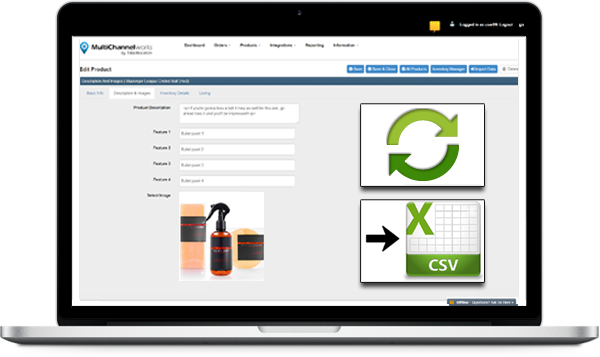 Easily add your SKU's to MultiChannelWorks with the 'add new product' form or from a csv file. Or save time by importing your products directly from your selling channels like eBay, Amazon and your web store shopping cart with a single click. MultiChannelWorks also makes managing bundles, sets and kits so simple even a small child could do it. Use the built in SKU mapping functionality to.. List, sell and manage your products with SKU mapping between all carts and warehouses. Easily map one SKU to several SKU's to create kits, sets and bundles. Map your warehouse SKU to your sales channel SKU's with automatic sales channel linking or manually with manual SKU mapping functionality. "With MultiChannelWorks you can do that!" Easily see all of your inventory levels from multiple warehouses in one screen. Automatically update all of your available stock levels in real time across all of the platforms and marketplaces that you advertise and sell on. Do you store your inventory in different places and warehouses? See your inventory levels in all of your storage locations on one single screen and to be able to download inventory reports..
..everything can be viewed and monitored from one single screen within your MultiChannelWorks account. If for some remarkable reason there's something you need that MultiChannelWorks can't do, just let us know and we'll do our best to make it happen for you.